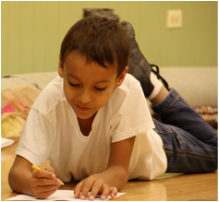 Compass Creative Dramatics specializes in stretching creativity and bravery muscles through the art of theatre and developing social skills such as empathy, trust, respect, and responsibility through collaborative art and play. 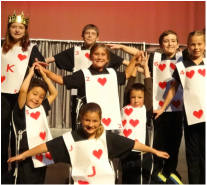 While multiple theatre companies exist in the Midwest that offer programming for children as an extension of their main mission, at Compass Creative Dramatics, children and residencies are our mission. Check out our Residency Photo Gallery. This unforgettable one-week experience brings together the excitement of mounting a fully-staged musical production (sets! costumes! props!) with working alongside two professional actor / educators who lead by example on stage and help your students shine. ​Students 1st-12th grade are part of a cooperative process that encourages empathy, trust, respect and responsibility. We provide everything you need for your students to learn, play, and perform. All you have to provide are the kids and the venue! While our new scripts are still under construction, students try out our new scenes, songs, and dances. Students also create choreography, blocking, writing, design ideas, and develop their own mini-adaptations of classic children’s stories. a higher level of creative outlet and challenge than our Performance Residencies. ​Sometimes, students’ ideas are incorporated into final production plans when the scripts become fully-realized Performance Residency Scripts! 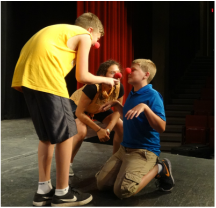 Our workshops are generally designed to be approximately 45-50 minutes in length, and are intended to give students an intro to a variety of theatrical topics and expose them to specialty performance and design fields within theatre. Enrichment workshops may be scheduled in tandem with Week-Long Residencies to offer a more in depth and broader residency experience. They may also be scheduled on their own for organizations who may desire to offer a shorter theatre enrichment opportunity than our week-long residencies. 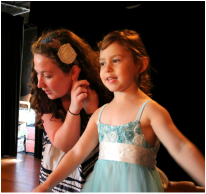 Compass Creative Dramatics offers a week-long, action-packed program for the tiniest performers and explorers! We help lay foundations for cooperation, empathy, social skills, and creative art appreciation. Students 3 years old through Kindergarten stretch creativity and bravery muscles through theatrical storytelling. The educators help students explore speech and motor skills, encourage social development, and spur physical and emotional self-expression through dramatic play.